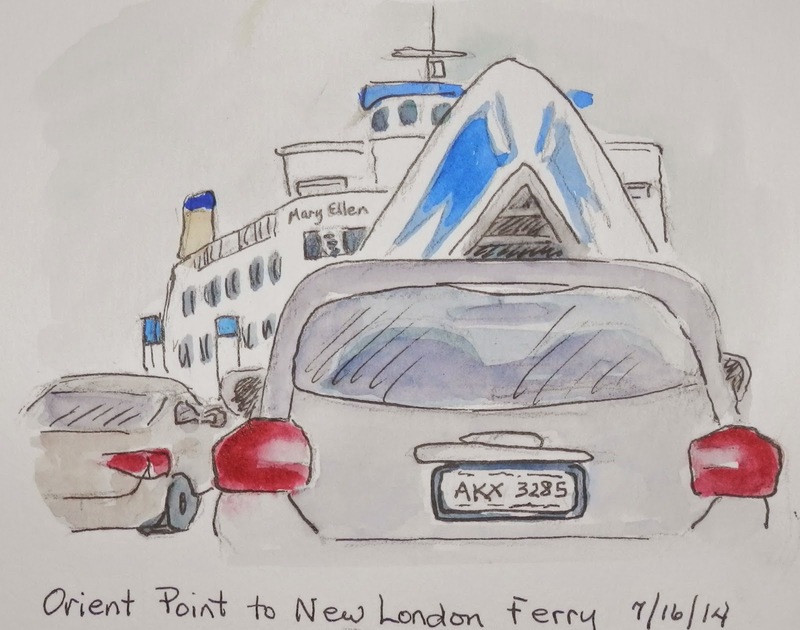 Leaving Long Island meant taking the Orient Point Ferry to Ct to start my trip to Maine on Wednesday. Never one to waste a minute I sketched from my car while in line waiting to board. People on the ferry are very good models. By the time I got to Maine it was dreary and raining. It didn't stop me. I headed to the shore in York, and could barely see the rocks because of the fog and rain. I sat in the car to sketch, but even got wet inside the car. lol I figured if the guy could be out there fishing, I could keep sketching. 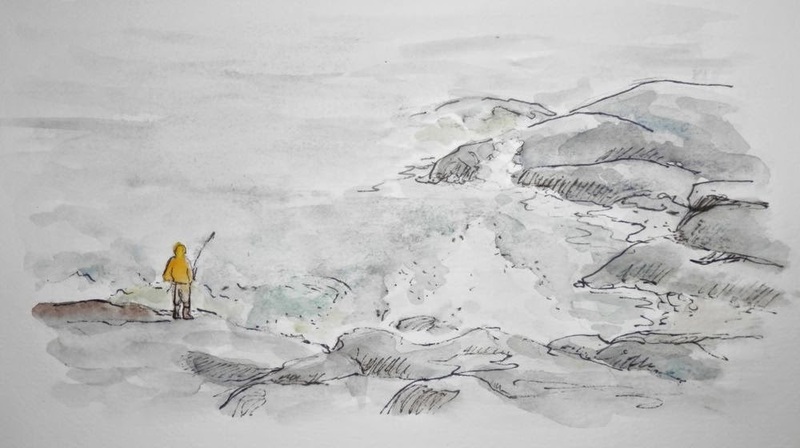 Joan, I think the last sketch of the rocks and surging waves is very effective. Having that small figure makes one sense the power of Nature! Enjoy Maine! 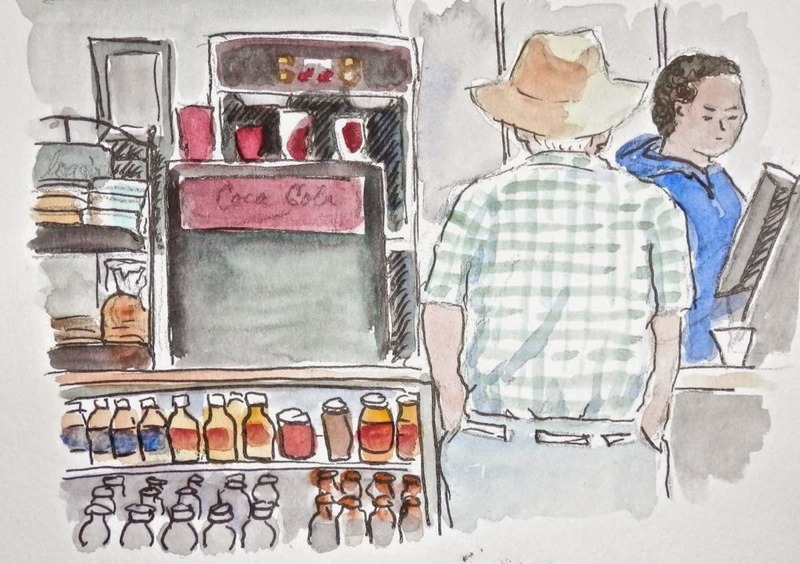 Love the man at the counter, great sketch. 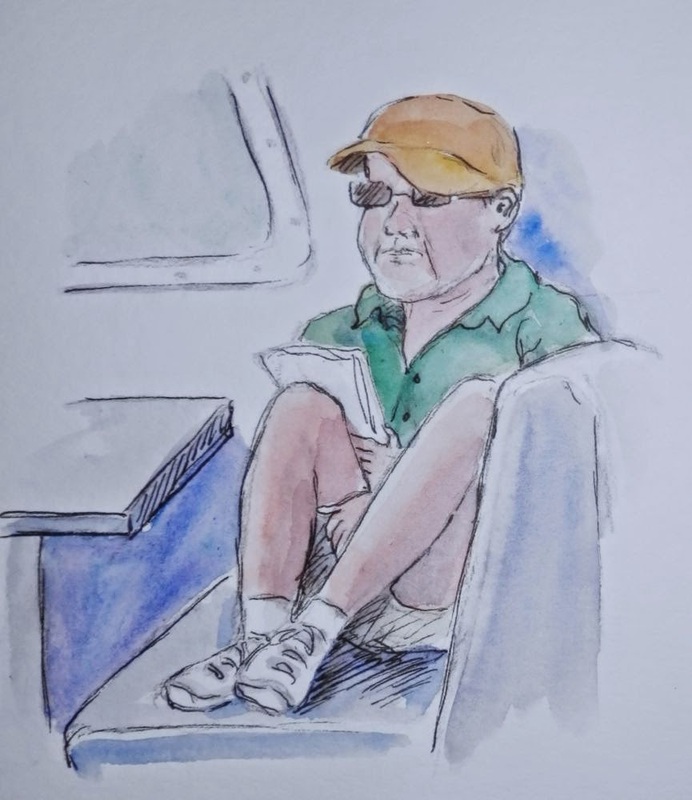 Is it a family vacation or did you go on your own to sketch?